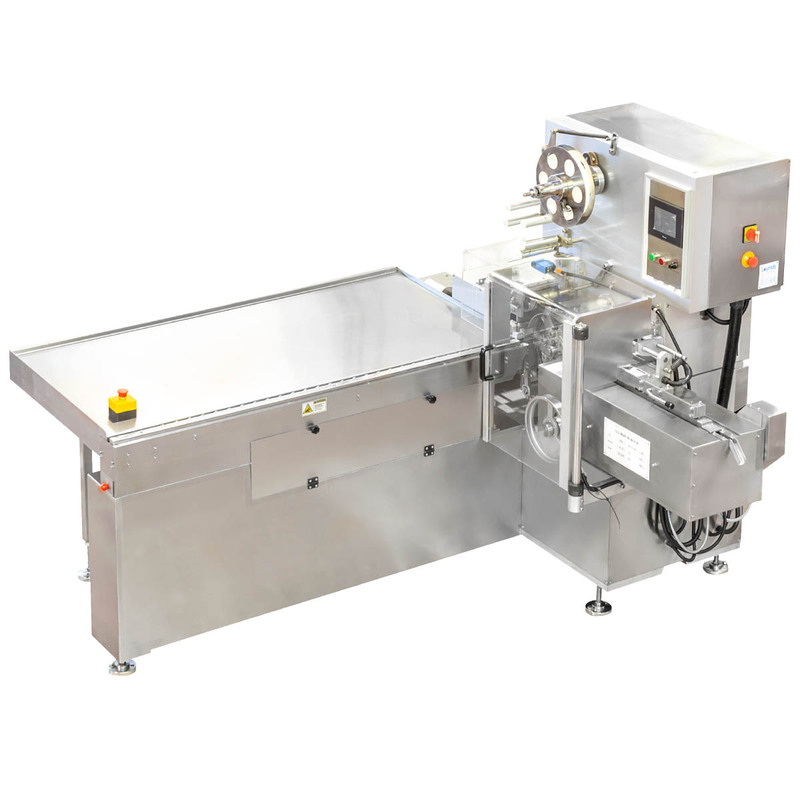 This machine is a modified cut and fold wrap. 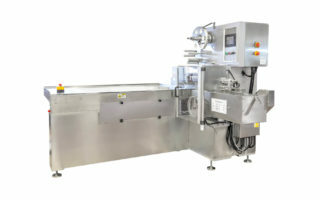 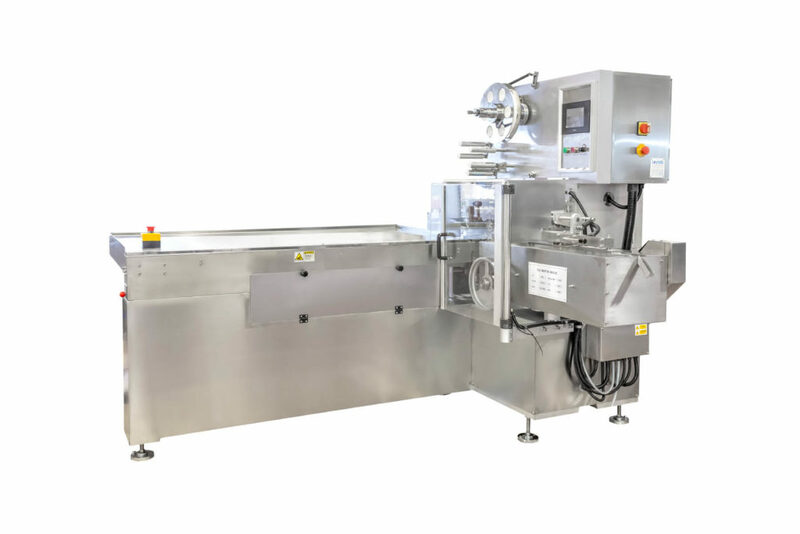 The automatic cutting section has been removed and a manually fed infeed conveyor has been fitted to put products through the wrapping section. 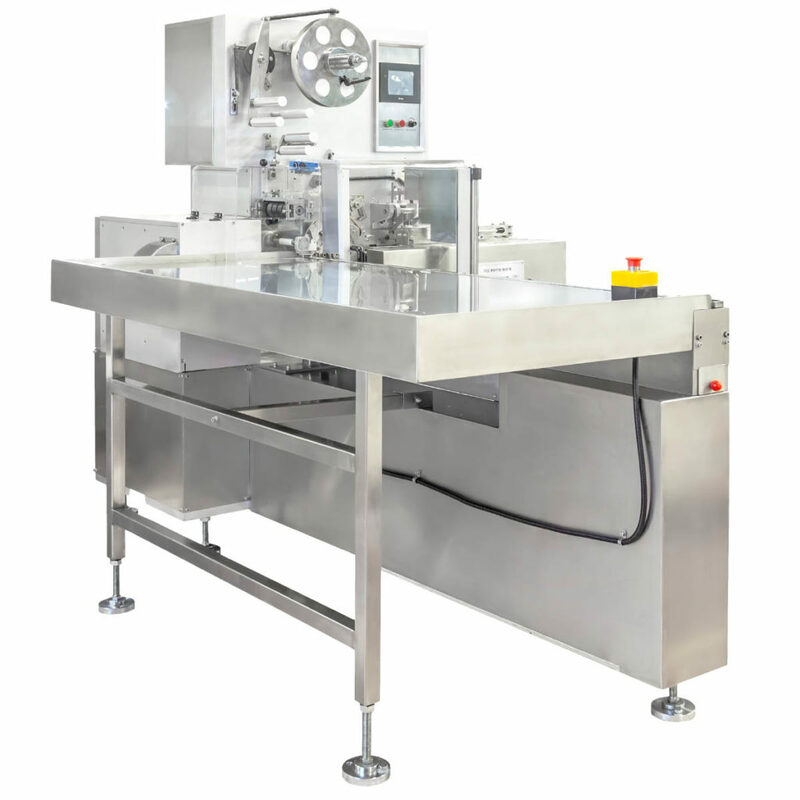 This chain feed fold wrapping machine is suitable for the fold wrapping of cubed, square, oblong, rectangle type flat bottomed products in single point underfold. 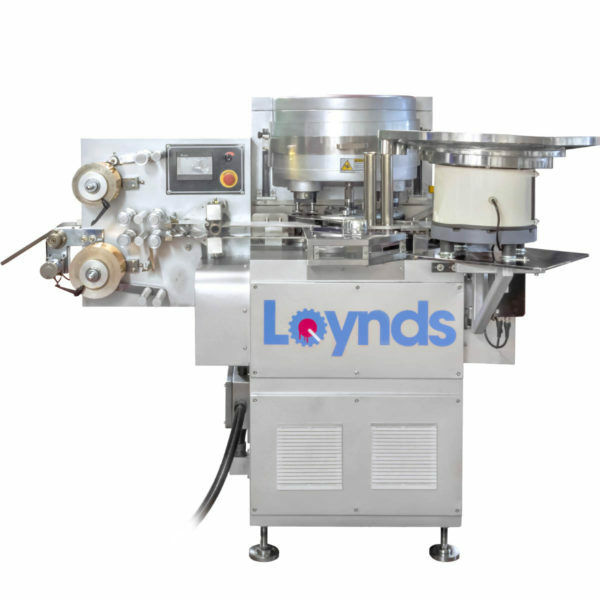 The machine can wrap at a maximum speed of 300 candies per minute with automatic feed or as fast as an operator can feed it as manual mode. 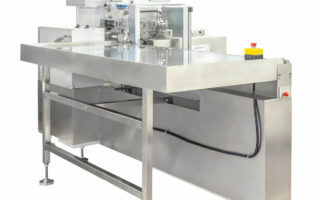 The machine is variable in speed being controlled by an inverter unit. 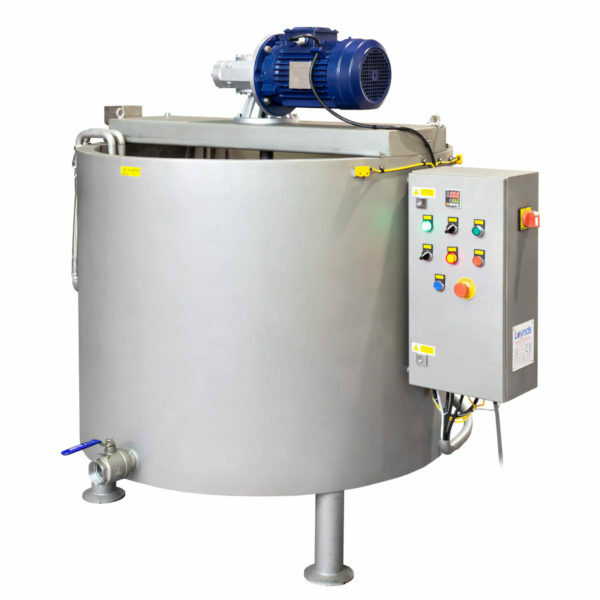 Supplied with a print registration unit for use on centring printed films.